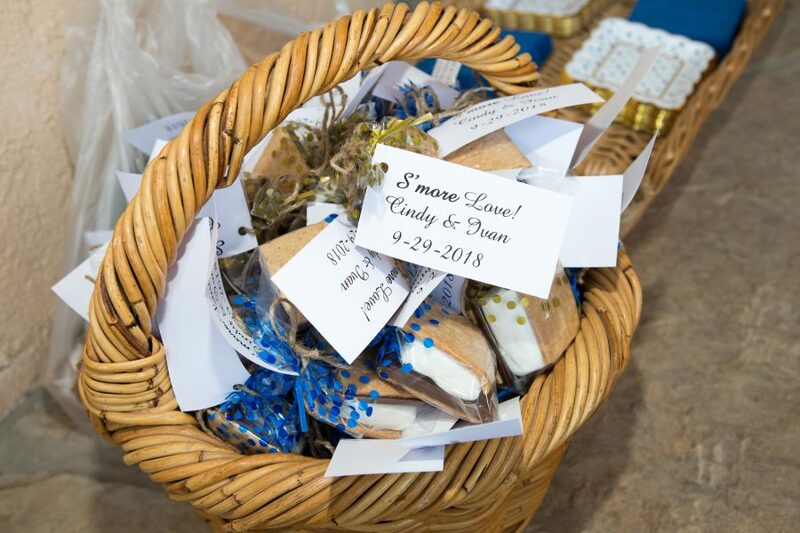 Cindy and Ivan have a fairy tale story with enchanting wedding photos to match! 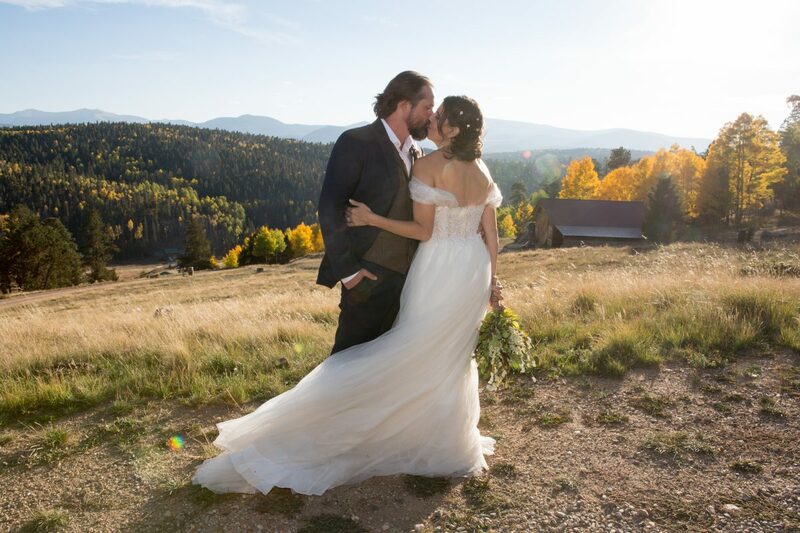 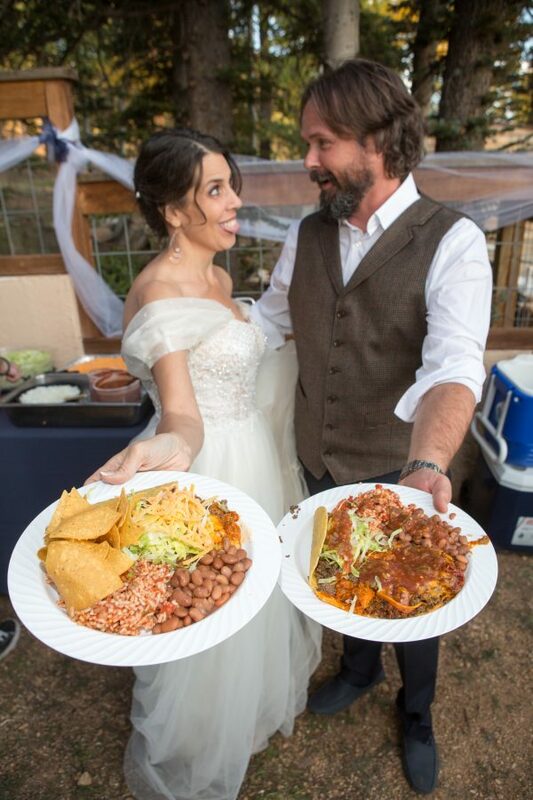 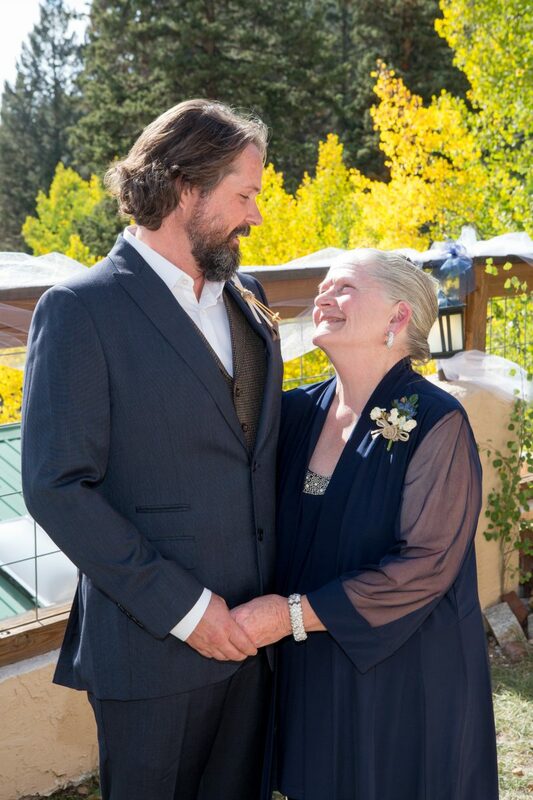 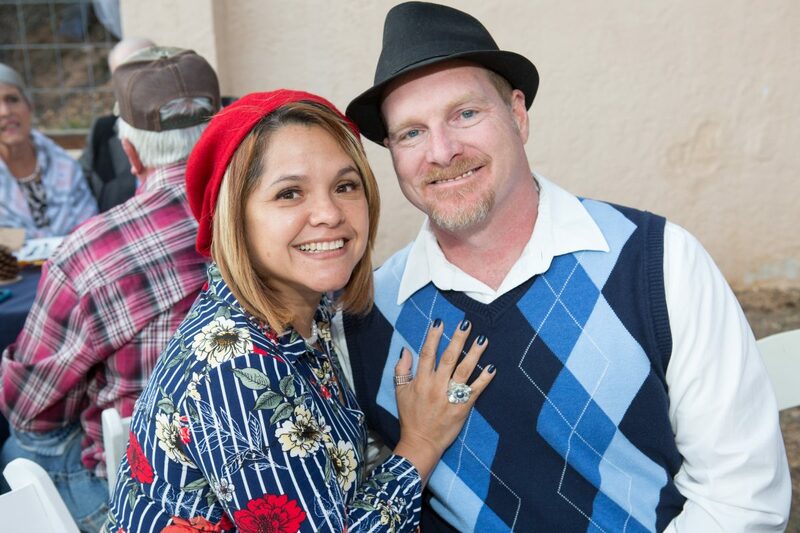 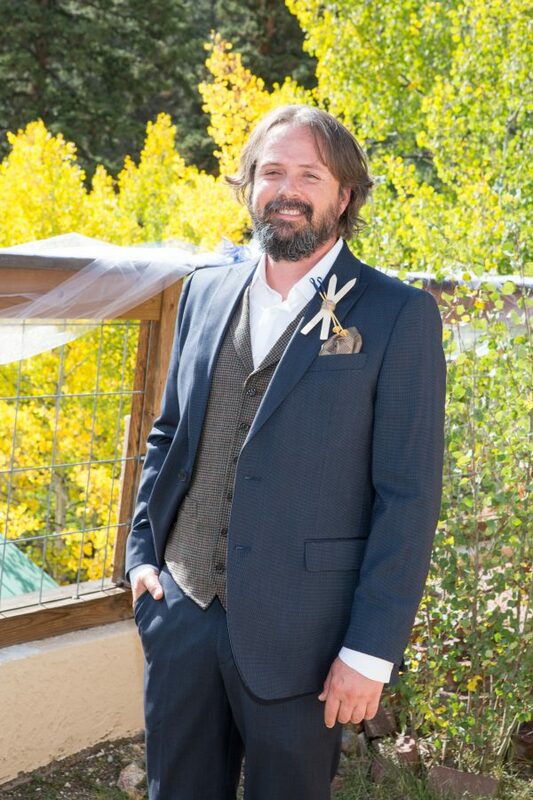 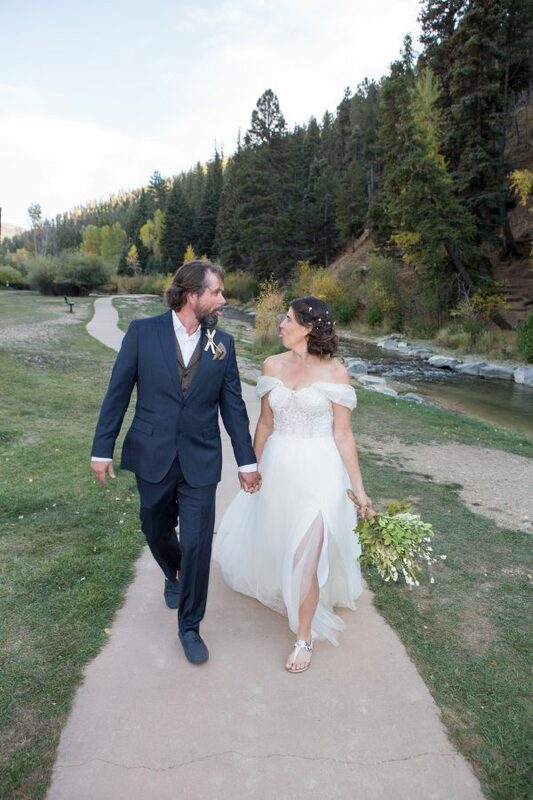 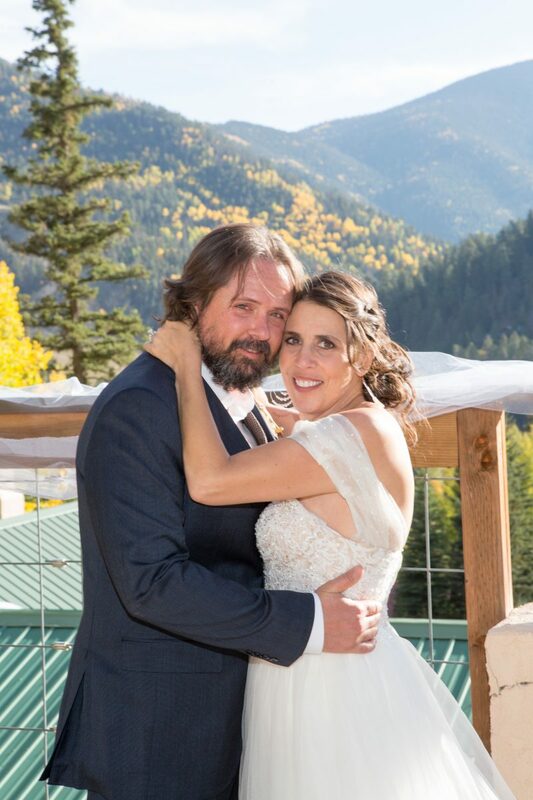 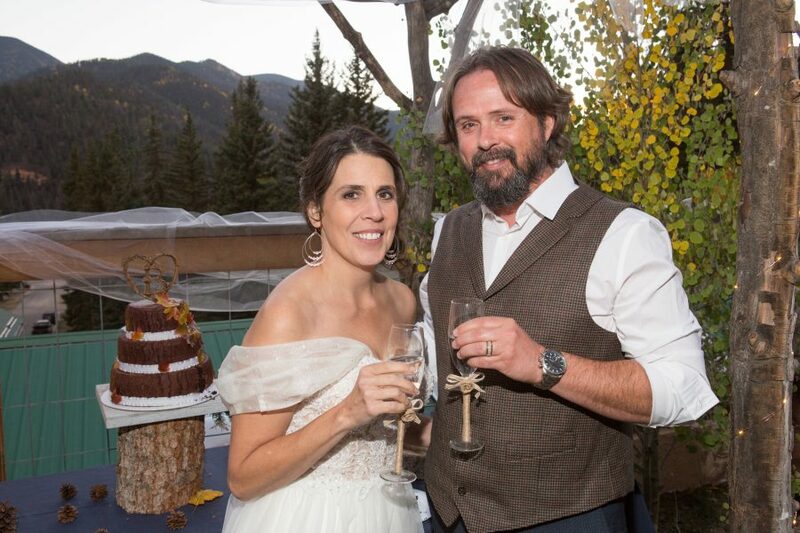 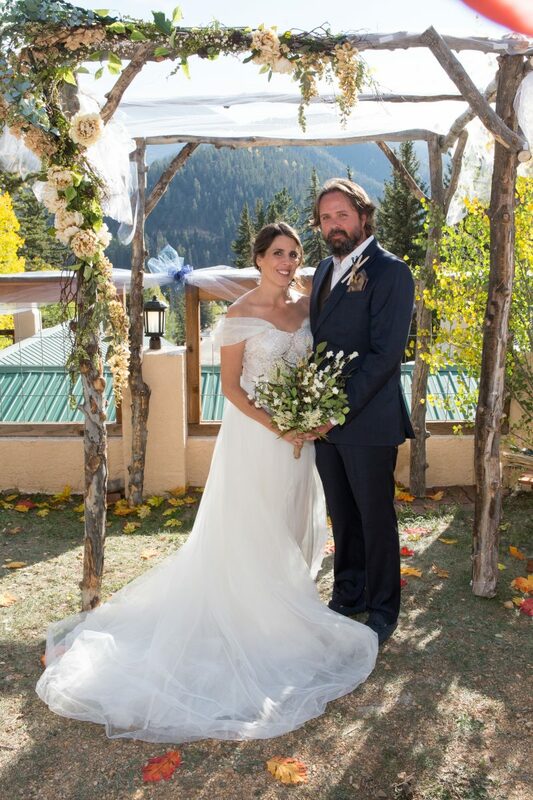 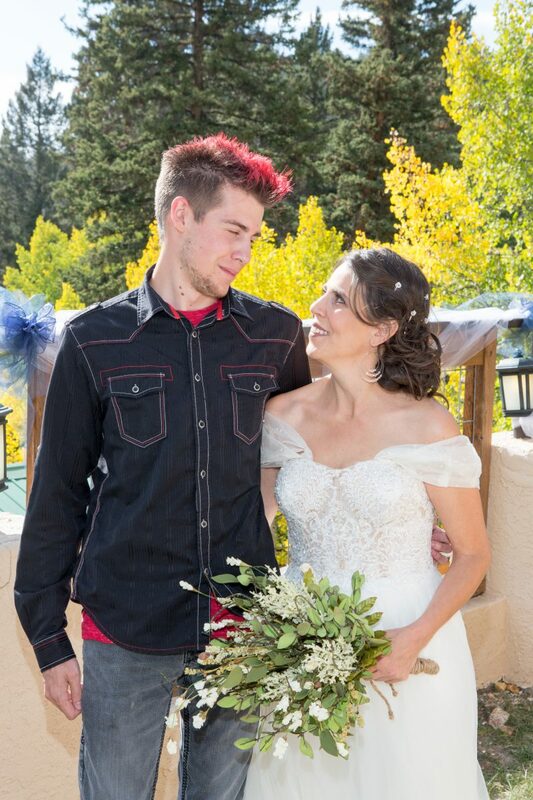 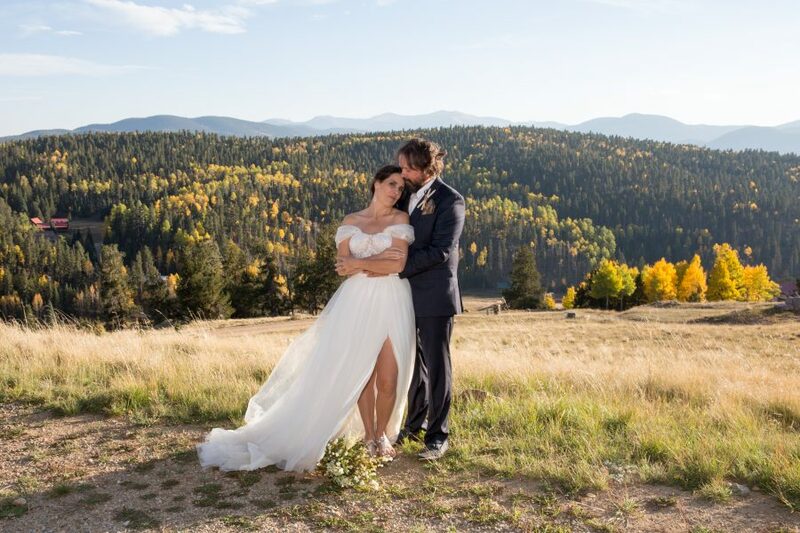 This couple was wed in Red River, New Mexico in the warm sunshine and had an outdoor reception surrounded by warm fires. 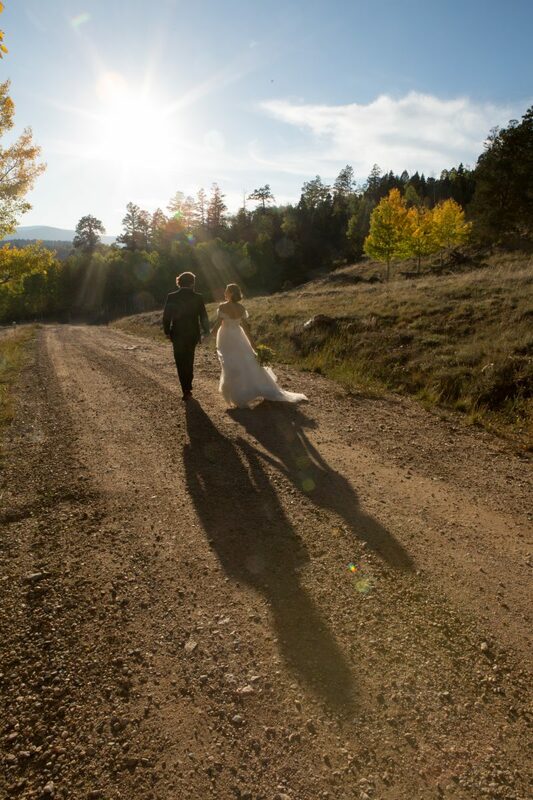 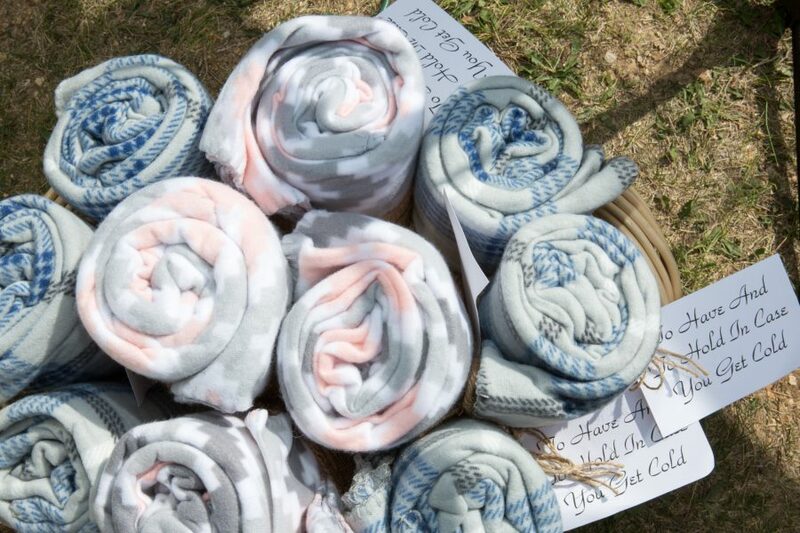 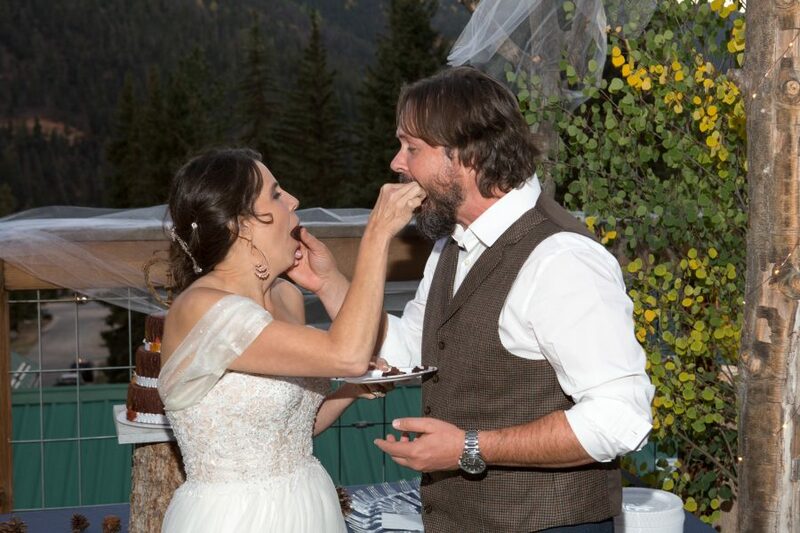 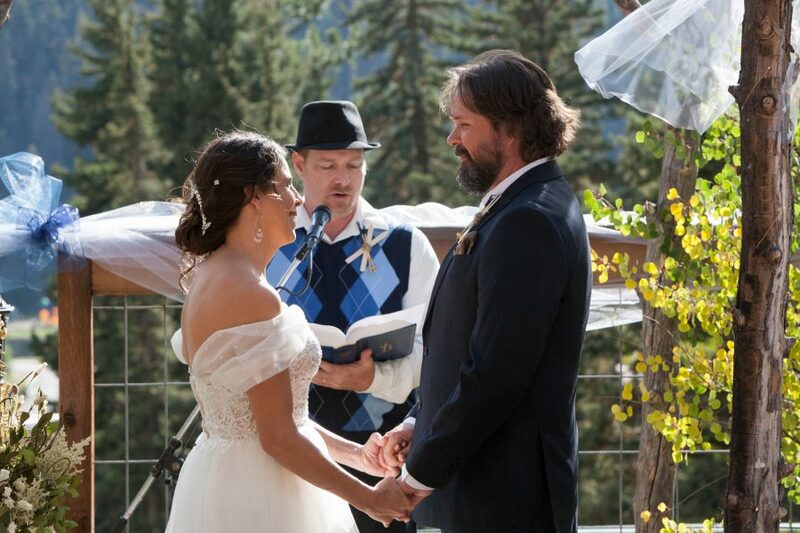 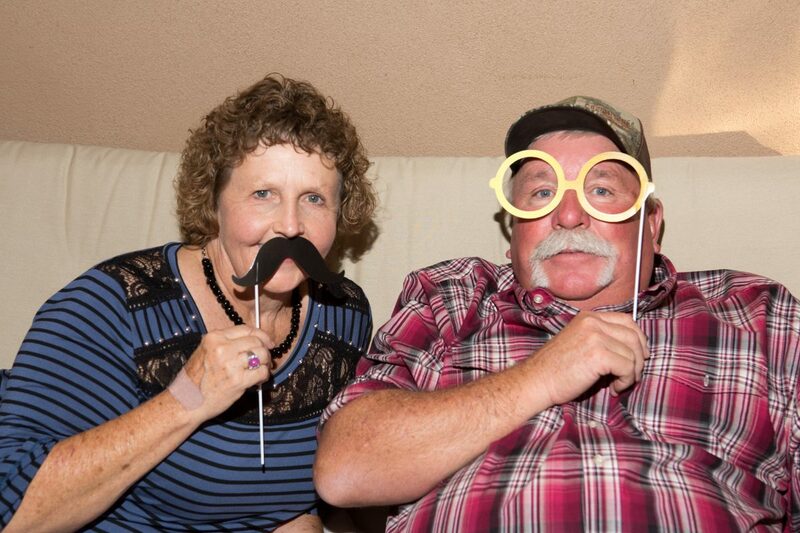 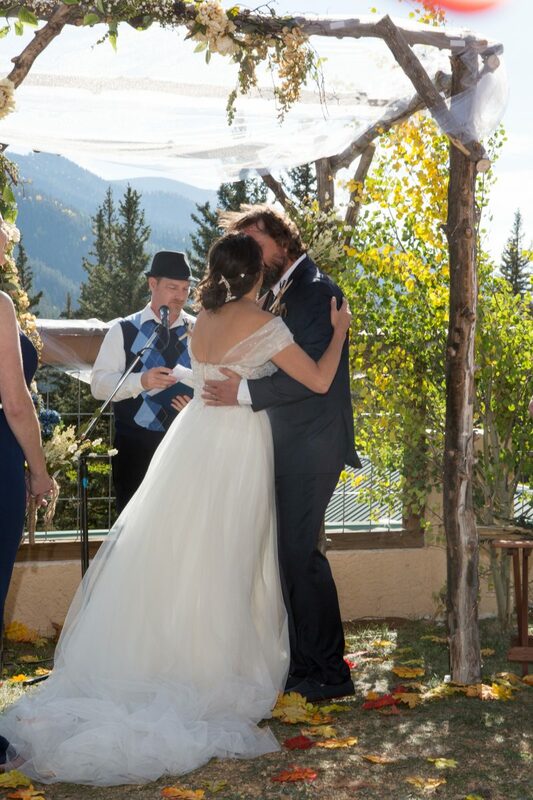 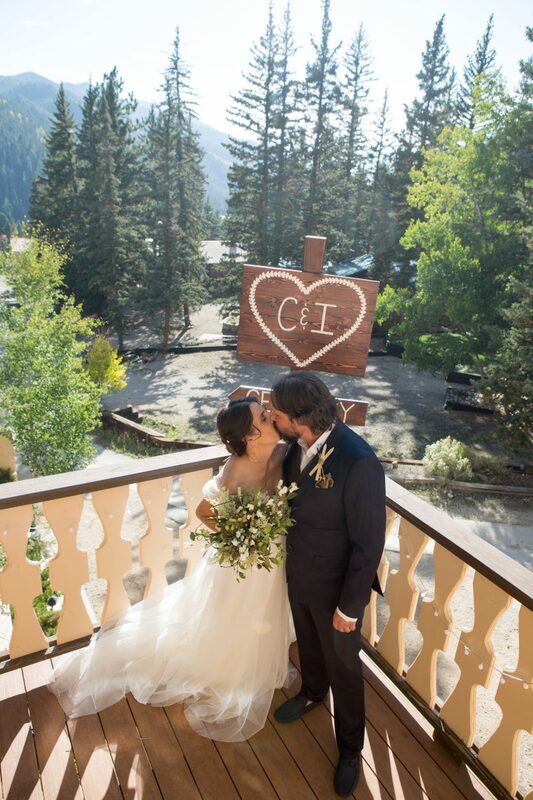 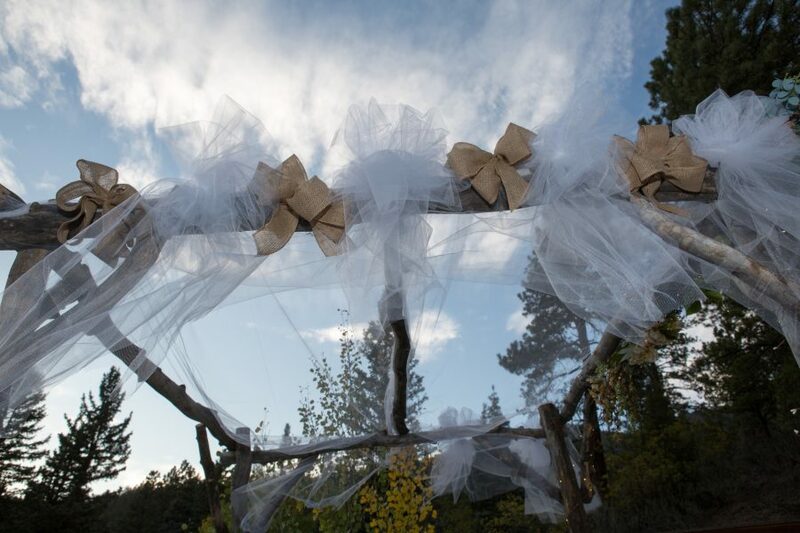 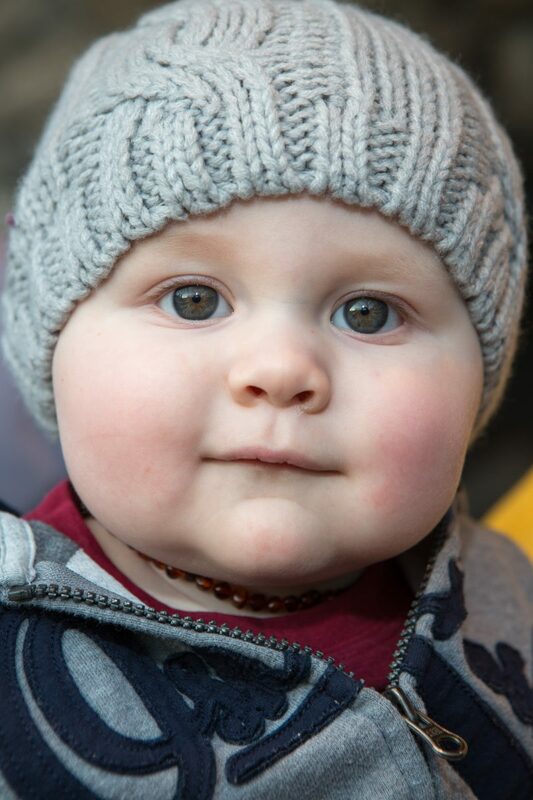 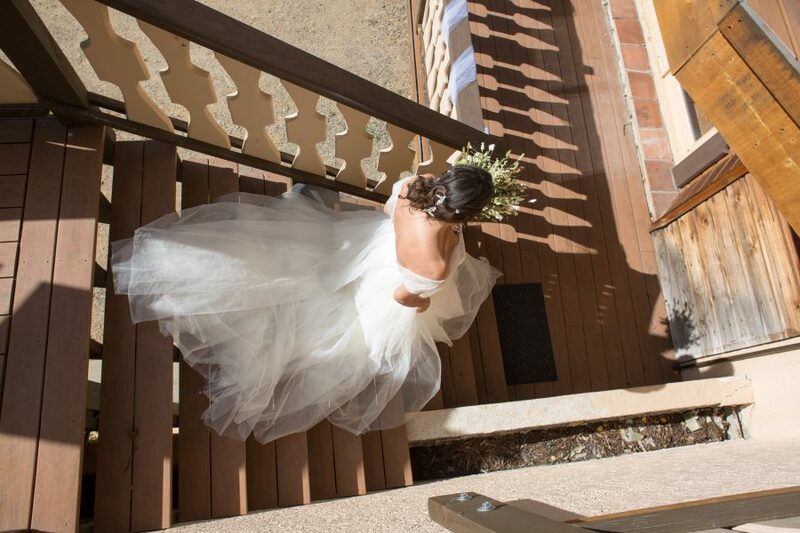 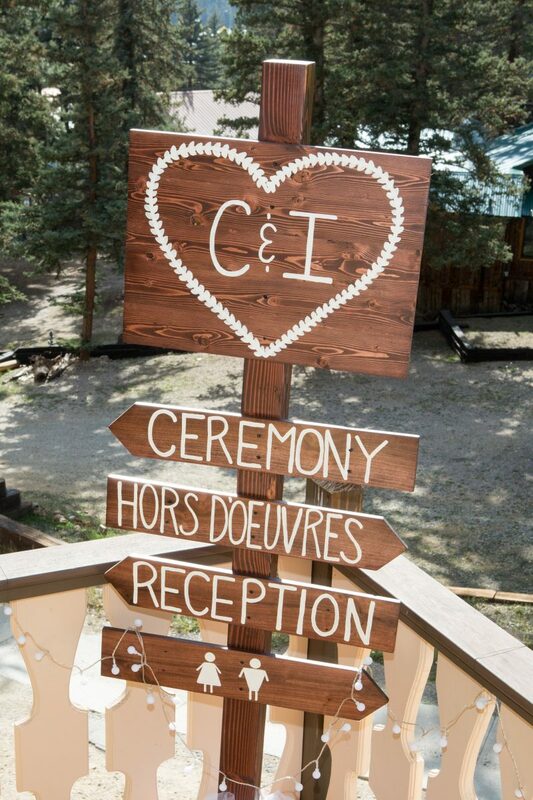 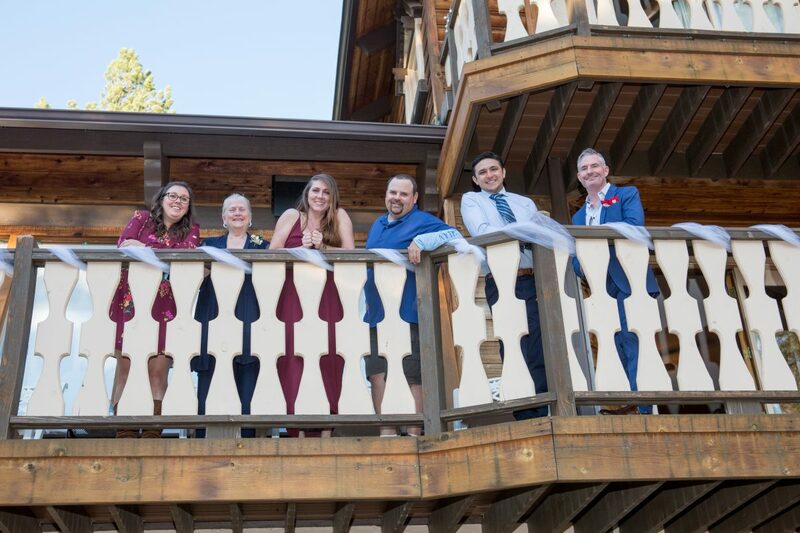 Their wedding guests traveled from all over to make it to this little mountain town. 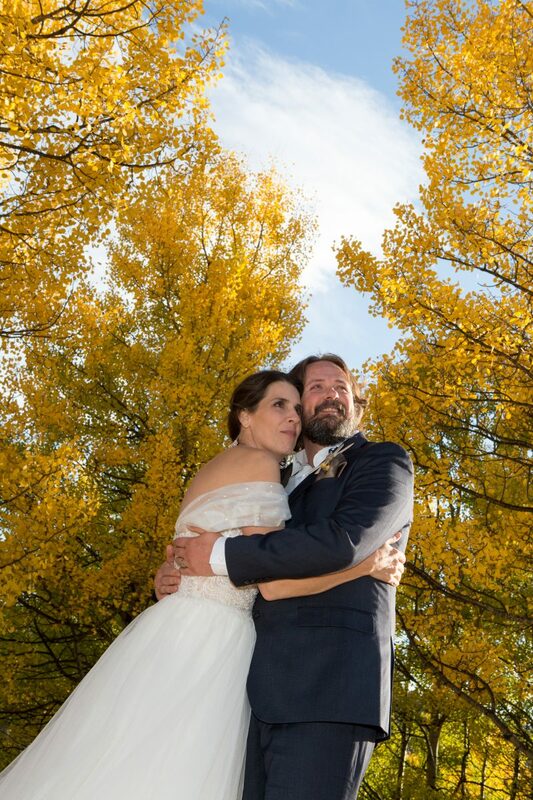 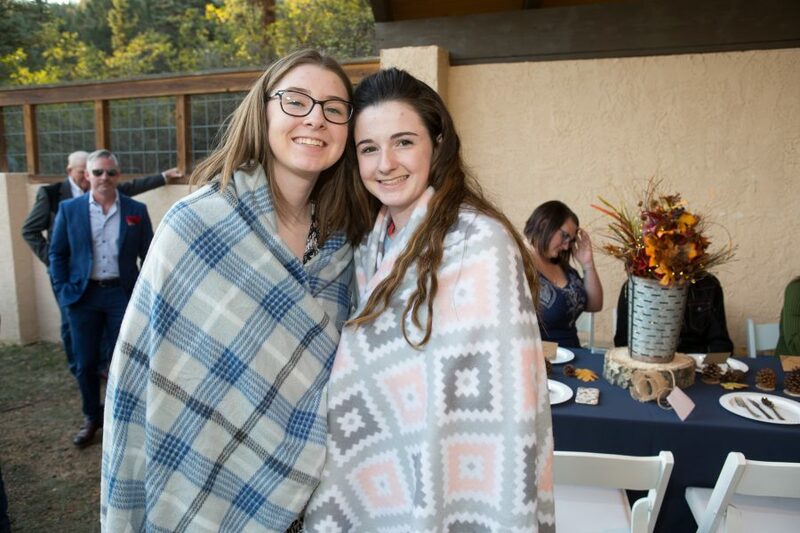 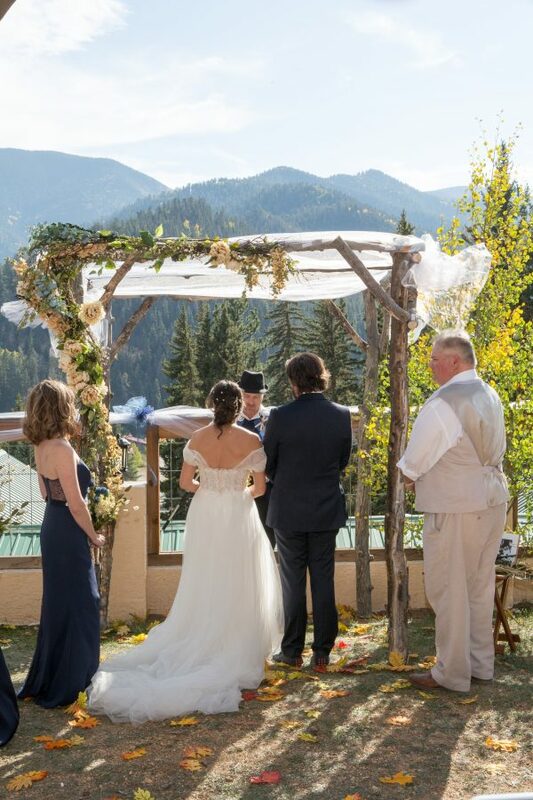 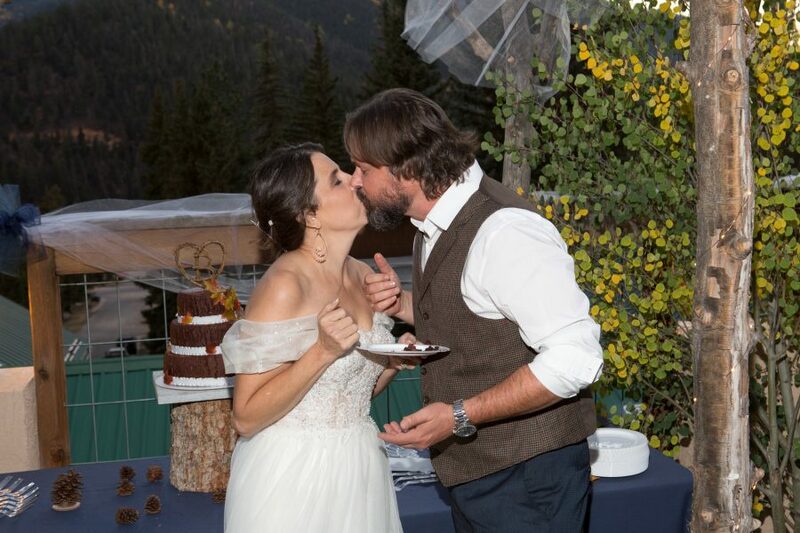 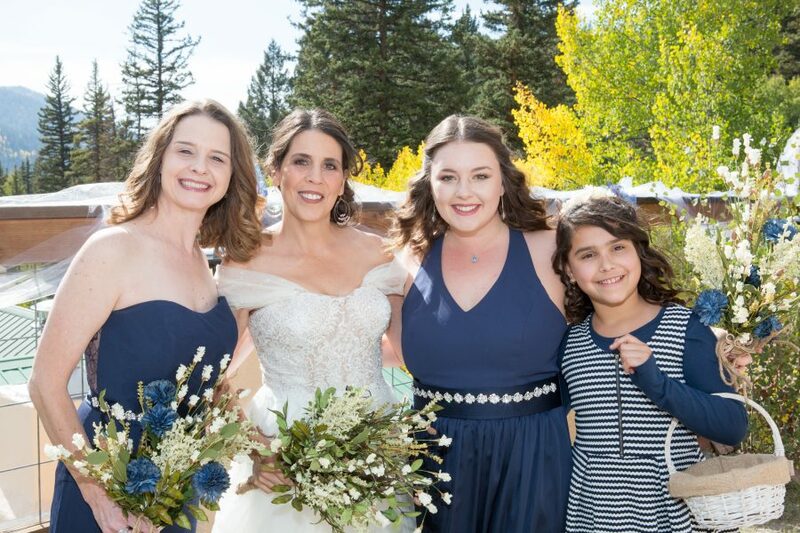 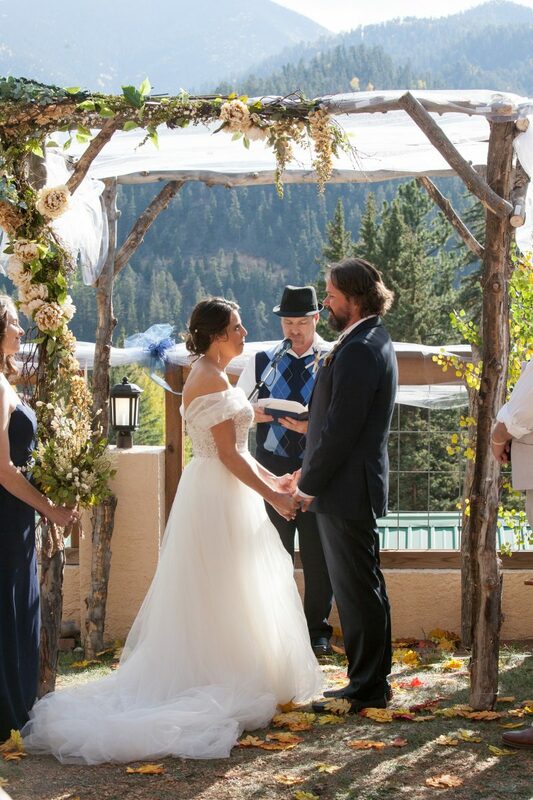 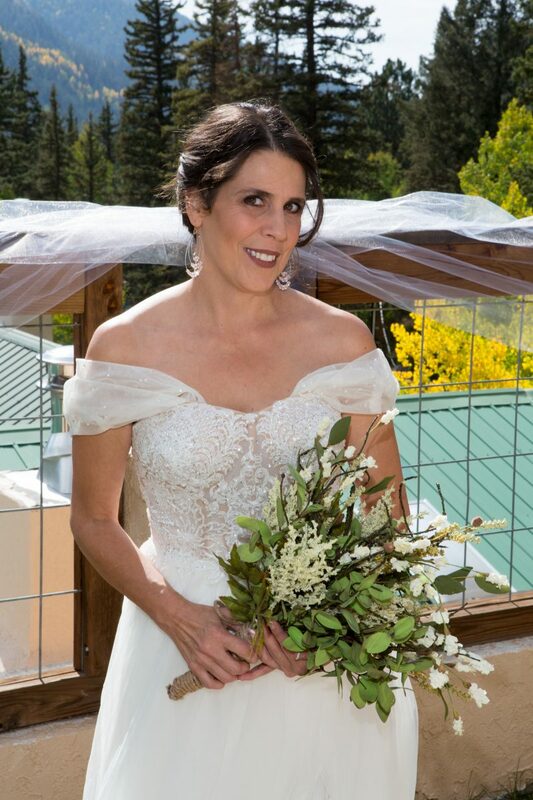 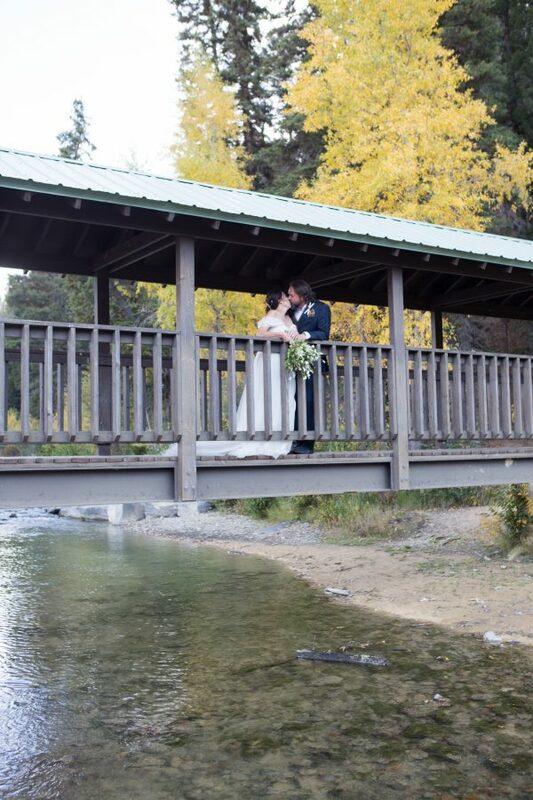 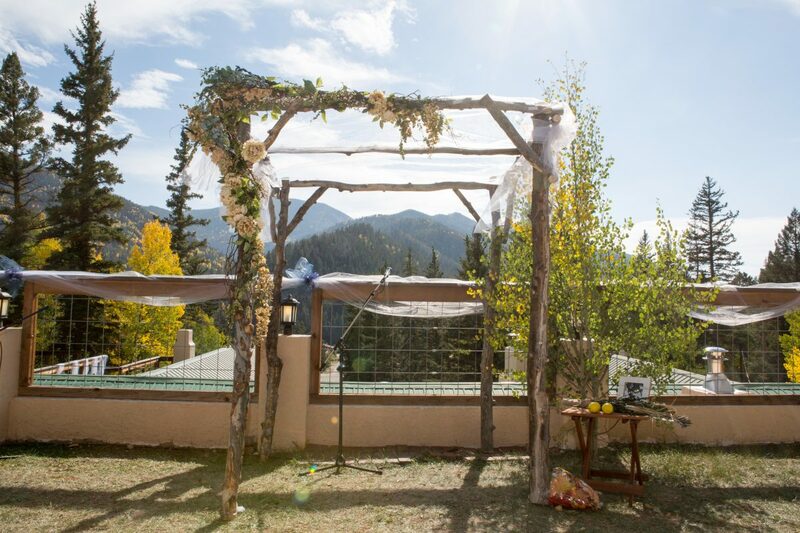 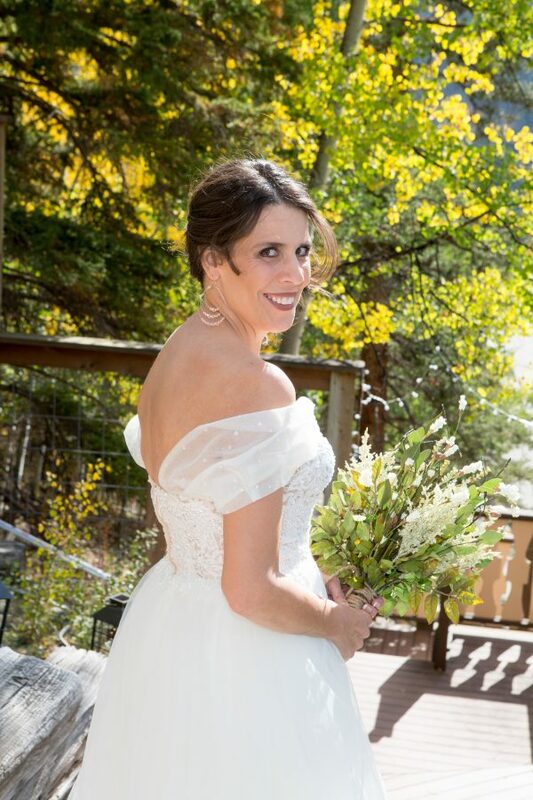 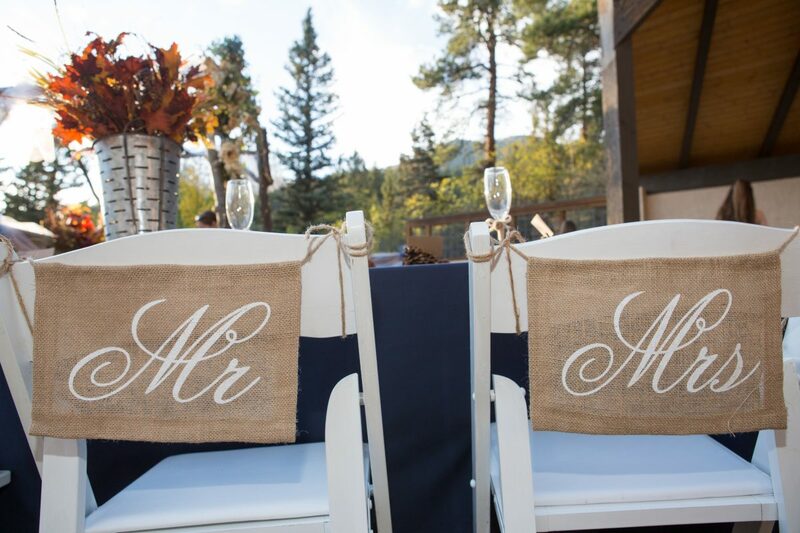 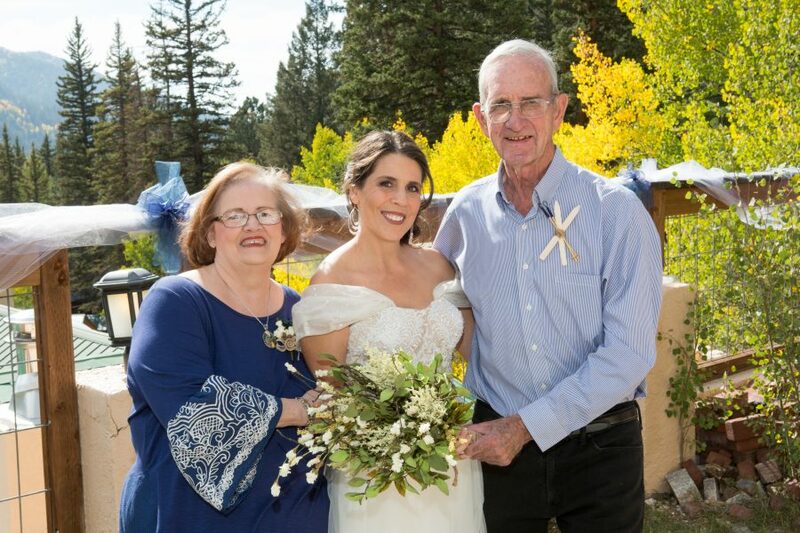 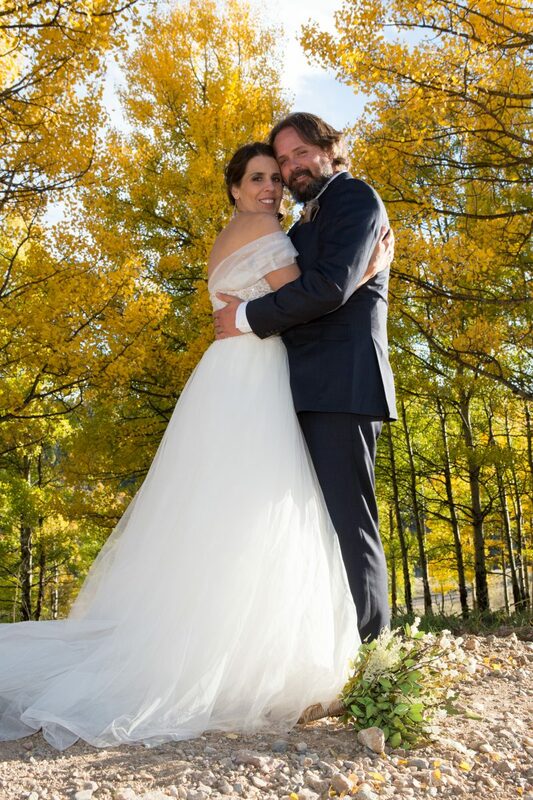 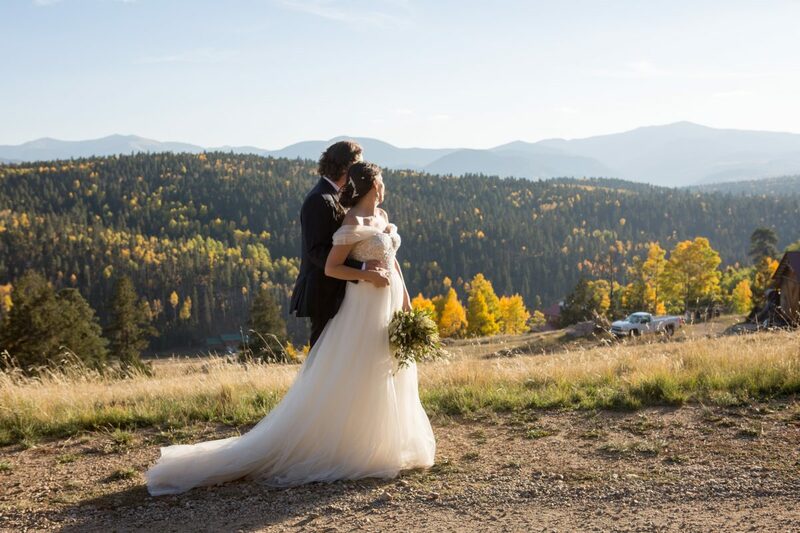 The views of the mountains with yellow and orange aspen leaves made for stunning backgrounds for the wedding party and guests. 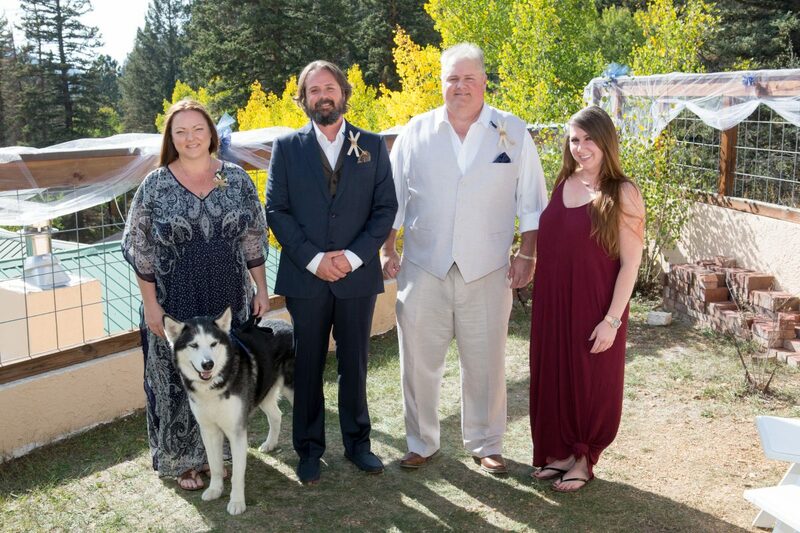 The couples’ ‘best dog’ was their Husky nephew who traveled to northern New Mexico from California.